Having been shuffl ed around among various family members throughout his childhood to an adolescence spent in and out of juvenile correctional facilities, Alfred Fox learned how to survive on the streets and deal with incarceration. Against the backdrop of the Detroit Riots and the political upheaval of the Civil Rights Movement, Fox found himself young, married, and still on the wrong side of the law. Throughout it all, though, Fox has held on to the loving promises of his Heavenly Father, and instead of succumbing to the despair that could have overtaken him, he has motivated and encouraged those around him to reach their God-given potential and dream beyond their real or imagined prison walls. With honest personal narratives and heartfelt poetry spanning everything from his love for his wife to life in prison to the majesty of Black history, Fox inspires us all to seek God fi rst and never underestimate the power of His place in our lives. Author, Jacquie Lewis-Kemp, chronicles the battles fought and the victories won growing up with juvenile diabetes, diagnosed at the age of seven. She details tips and techniques her parents and she used from childhood, through college, into marriage, childbirth and as CEO of an automotive supplier. She describes how she managed diabetic long term complications such as retinopathy and kidney failure and offers details of her kidney transplant heroically donated by her brother. If that wasn't blessing enough, eighteen months later she received a pancreas transplant, to best preserve her new kidney with the side benefit of ending daily insulin injections. Jacquie describes how she parlays her health challenges into a platform for success. Jacquie shares with her readers how she viewed the issues she faced on a day-to-day basis, as stepping stones and not stumbling blocks. She reveals how the regimen needed to control blood sugars within a tight range predisposed her to good self-dicipline and time management skills. Both necessary for success in life. Because of of her success in life despite the odds, Jacquie confidently proclaims that she has a Blessed Assurance. Claudreen Jackson thought she finally had it all. She was the wife of a successful musician, Pervis Jackson of the Spinners, she had three beautiful children, and a whirlwind of socializing kept her busy and fulfilled. Inspired By Autism, is one mother's touching, brutally honest look at the depression, heartbreak and frustration of a parent living with an autistic child-it is also an inspiring, heroes testament to the love and acceptance of a mother who has given her child's special needs over to God, becoming an unflinching advocate for families of children with disabilities and a resource for all parents of disabled children. She wants these parents to know, they are not alone. Alexis Lynn Nicole (Nikki), grew for 7 months in her mother�s stomach�literally, not in her uterus�but in her abdomen. Unprotected by her mother�s womb, her entire left side was crushed. With wit and inspiration from her Grandmamma; Wanda courageously faced and is now sharing with others, in her book, Once Upon a Miracle, how to overcome life�s biggest challenges with a smile. Wanda decided that she would give Nikki a lifetime of love in whatever time she was allowed to have her in this earth. Nikki�s life was a short 7 � weeks, before she finally succumbed to the unique challenges that accompanied her miraculous birth. Nikki�s courage and fighting spirit provided inspiration and joy to everyone who knew her. She even taught the most staunch unbelievers that it�s not over �til God says it�s over. Once Upon a Miracle is a true story of a mother�s love and great faith. It will cause you to�laugh, cry, believe in miracles again and to come to understand that with God all things are possible! It is often while we are striving forward on one path that we stumble across and even greater road�and so it was with Margaret O�Rourke-Kelly. While working on her own campaign for a seat in the Michigan House of Representatives, O�Rourke-Kelly came across the records of Dora Hall-Stockman, the first woman to hold office in Michigan. This began her fascination with this often-overlooked historical figure but through Hall-Stockman�s plays, stories, poetry, songs and overwhelming contributions to the agricultural community, she has created an intriguing biography of a strong, patriotic woman of God, often ahead of her time, who overcame the constraints of her life and times to make a lasting contribution to American society. At five years old, little Evelyn had A never felt anything but love and security in her Daddy�s arms, but in one horrible, heartbreaking instant, her innocence was lost and a vicious cycle of shame and abuse that lasted for years began to unfold. Scared to reveal the true nature of her father�s sexual abuse, Evelyn hid the horror within herself... It was not until she fi nally asked Jesus into her heart and found the strength to confi de in others about her abuse that she was fi nally able to begin to heal. In silent tears, LOUD VICTORY, an inspiring, VICTORY honest account of one little girl�s struggle to become a woman of God and a survivor of abuse, Edith Eddins shows us that, with God in our hearts, not only can we overcome horrifi c tragedy, we can forgive even the most deplorable sin and shine to the world as an example of His all-encompassing love. In Kick out All the Stops; the Power to Overcome Chaplain Wuopio shares her life�s experiences that read as a �How to Manuel� on how to overcome. She shares issues she personally faced and triumphed over including: rejection, oppression, death, abortion, drug use and financial lack. You will find this book a powerful teaching tool for personal use, bible studies, cell groups, workshops and conferences. The prophetic insight and wisdom revealed will elevate you to a place where you can see life from a throne room perspective! 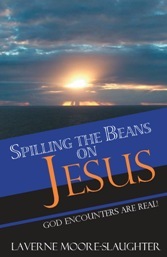 This book kicks out rejection, abandonment, self hatred, doubt and unbelief. It is Chaplain Kathy�s heart that you walk this life whole, secure and released into your God-Given destiny! She will walk with you side by side, until you too can say, I�VE KICKED OUT ALL THE STOPS AND OVERCAME! Have you ever wanted something and all the cards seemed to be stacked against you? What if you were born at the wrong time, the wrong color, and on the wrong side of the tracks? But something inside of you knew you were destined for more than an average life. You wanted a life for yourself and your family that would positively impact generations to come. So you set aside fear and apprehension and courageously move toward your dream. With sheer determination you start out. No matter how difficult or humbling the tasks you won�t give up, even though the circumstances dictate that you should. Now you are off and running so you think�but the next step runs you smack into a wall. Everything you worked for and dreamed of slips through your fingers. To add insult to injury; a series of events caused by your choices inadvertently leads to the death of your only son. In order to bounce back from this last blow it takes something greater than yourself�it takes faith. You take that leap and start moving toward your dreams one more time. You know that you still have it in you to do something significant with your life. So you try again and this time your dreams are realized. Poppy: A Story of Courage, Determination and Faith spans seven of the most difficult decades in American history and the life of Dr. Horace L. Stewart, one of eighteen black men specifically selected in the 1940s to integrate Air Force Basic Training. In his life he experienced segregation to integration, the Great Depression and World War II. 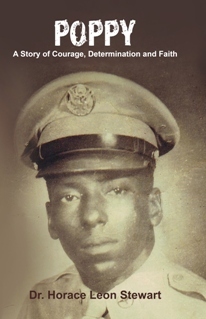 Dr. Stewart self-described as a gangly dark skinned colored boy went from the cotton fields of central Texas, to high school dropout, to airman, to teacher, to doctorate in education which proves that anything is possible with courage, determination and faith. 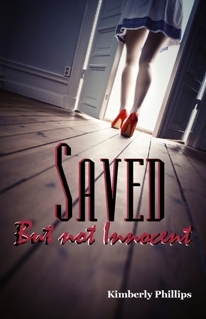 Saved, But Not Innocent reveals the hidden secrets of a young lady�s past. It is a testimony of God�s love, mercy and forgiveness of a sinner. Discover how lust and lies caused her to go on an emotional roller coaster that almost cost her, her life. Is it possible to be forgiven after an abortion, breaking the law and teaching others how to do so? Find out, as the author, Kimberly Phillips shares her heart in this, anything but ordinary, story of redemption. God�s love is everlasting and there is no sin too big for Him to forgive. Dorothy Crabtree, as a young teacher from England, embarks on a journey to the US on a Fulbright Scholarship, in hopes to find out more about the culture and enrich her ability to teach from firsthand experience. But what she discovered was so much more, as she traveled across the US and its Bible belt, whose residents openly shared their faith, food, fashion, homes and ultimately their hearts. Join Dorothy as she discovers the awesome wonders of America, through the eyes of an English school teacher, that will change her perspective on what it really means to eat, love and pray forever. Dorothy B. Crabtree is a robust retired school teacher who travels around the world often and lives in Kingston-Upon-Thames, England. She is married to a retired research scientist. They have a daughter, a son, and four grandchildren. Daphne Robertson (n�e Crabtree) is married to an inspector in the Metropolitan Police Force in London and helped her mum to capture her memories and share them with the world. They live in Surrey and have two daughters. Has your life suddenly changed in a moment, without warning? Has everything that you worked for and was familiar to you, ripped literally out of your hands? Just the idea of that happening is terrifying at worst, and unsettling at best. To add insult to injury, you are then faced with the monumental task of rebuilding your life, alone, in an unfamiliar place. That is exactly what happened to author, Chella Wilson. Walk day-by-day with Chella, as she tells the story and journals about the most horrifying and triumphant days of her life. From being held against her will and escaping by the grace of God, to packing up her children and everything she could fit in the trunk of her car and running for her life to finally discovering that her only truly safe refuge, is in the arms of God. That Saturday began like any other day for mother of three and registered nurse Rebecca Boone Kozowyk. After spending the day training to become a certified CPR instructor, she returned home to a family barbecue with her husband, sons and parents. When her sixteen year- old son, David, asked her for the truck keys to drive his girlfriend home she handed them to him without a second thought. Just a few hours later she and her husband were awakened by a neighbor informing them that David had been in a terrible wreck on the way home, and he was being airlifted to a level one trauma center. The grave news awaiting them when they arrived at the hospital was devastating; David had suffered a catastrophic brain injury, both of his lungs were collapsed and badly bruised. They were told to gather their family together and begin making final arrangements for their son, because he would not survive his injuries. With nowhere else to turn, Rebecca placed all of her faith and hope in God and cried out to Him. Her desperate prayer for her son�s survival and recovery set forth a miraculous chain of events that would take her and her son on a journey from completely shattered to Beautifully Broken.